Janet E. Smith has been among the world’s preeminent voices in the study of the issues raised by Pope Paul VI’s 1968 encyclical letter Humanae vitae. 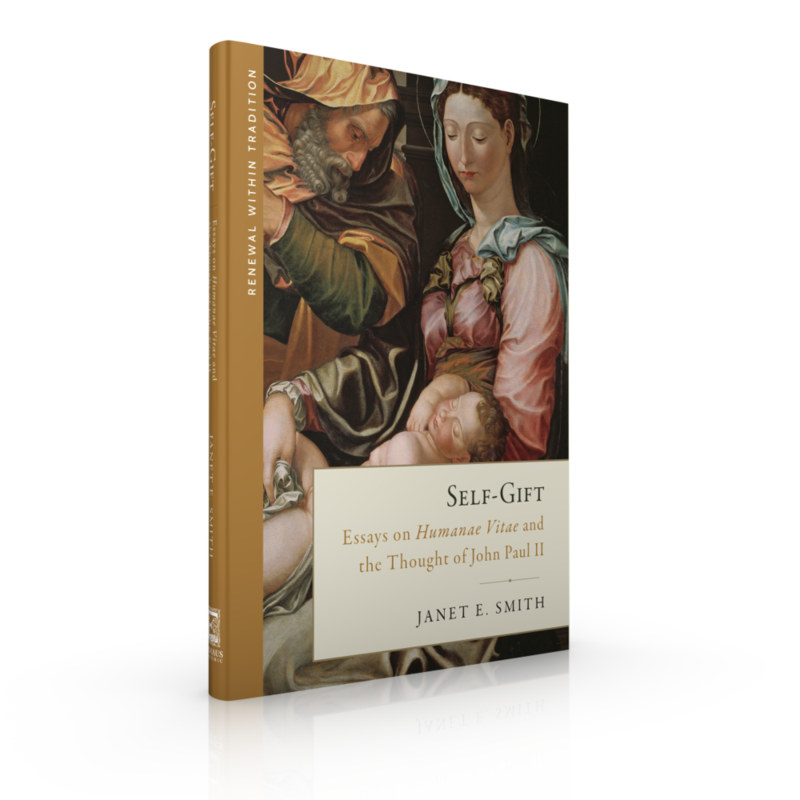 Self-Gift: Essays on Humanae Vitae and the Thought of John Paul II presents Smith’s critical collection of essays on the vocation of marriage, human sexuality, contraception, and more. Her groundbreaking scholarship touches on all the areas implicated in Humanae vitae: from natural family planning to parenthood and natural law to personalism. This collection not only includes Smith’s English translation of the encyclical from the original Latin text, but also helpful background on the development and release of this authoritative magisterial document. With a particular emphasis on the personalist and Thomistic philosophy of Pope St. John Paul II and how it illuminates the two-millennia tradition of Catholic teaching on human sexuality, Self-Gift delivers crucial insight into the Creator’s plan for human sexuality and our full flourishing in Christ.